New York (AFP) - Two-time Super Bowl champion tight end Rob Gronkowski signed a revised NFL contract with the New England Patriots on Thursday, giving star Tom Brady's favorite target new performance incentives. The 29-year-old five-time Pro Bowl talent is prepared to open his ninth NFL campaign, all with the Patriots, next week after dismissing rumors of retirement last April. 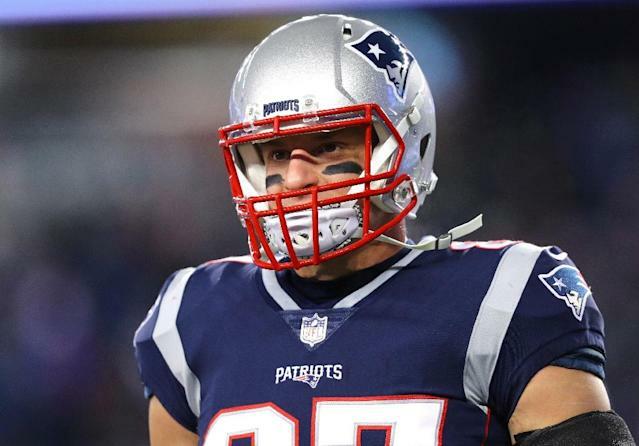 His new contract terms could add $4.3 million for a potential maximum payout of $13.3 million this season, Gronkowski agent Drew Rosenhaus told the NFL Network. "Who's ready for some football!?" Gronkowski tweeted after the deal was announced. "I'm feeling #GronkAwesome for the season to start." He's looking at up to $1.1 million each for making 70 catches, 1,085 yards, at least nine touchdowns and playing 80 percent of possible time. That's one more catch, one more reception yard and one more touchdown than he had last season. "Gronk" set a one-season NFL record for tight ends with 18 in 2011, 17 of them on receptions, and the most receiving yards by a tight end with 1,327. Gronkowski helped the Patriots to Super Bowl victories in 2015 and 2017 and played on losing Super Bowl squads in 2012 and last February.